It would be an understatement to say that Andrew Camilleri has gotten his hands dirty while earning his degree. The Wayne State University environmental sciences student's research has taken him from collecting invasive species in the murky waters of the Clinton River to analyzing the DNA of E.coli in Lake St. Clair. And while some wouldn't associate an urban university such as Wayne State with robust environmental research, Camilleri begs to differ. "Studying the life sciences in Detroit has really allowed me to see the impact humans have on the environment,” he says. 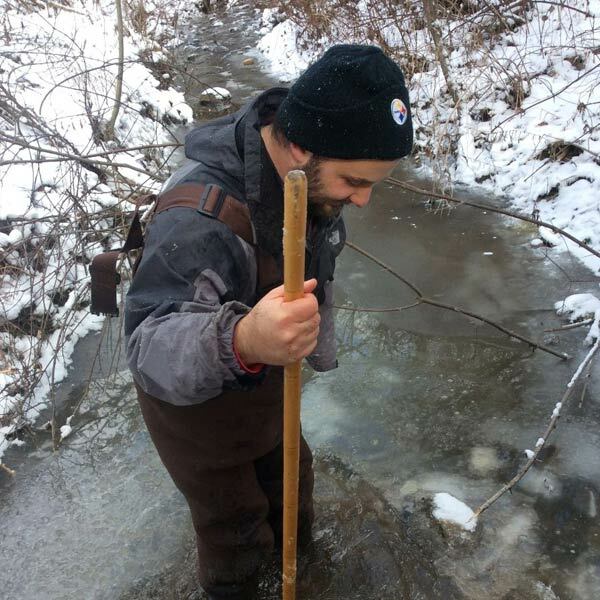 During his most recent research endeavor, Camilleri found himself knee-deep in a frigid Rouge River sampling for stream macroinvertebrates with the nonprofit organization Friends of the Rouge. “Stream macroinvertebrate communities are often indicative of overall stream health," said Camilleri. “The presence of sensitive macroinvertebrates is an indicator of good water quality.” He and several other WSU environmental sciences students helped lead this year’s annual bug hunt as a collaborative volunteering opportunity. Camilleri sees this extracurricular research as more than just another way to bulk up his résumé. For him, it’s a chance to make a bigger impact on the environment — specifically, the world's waterways. To make that dream a reality, he’s applied to graduate programs in ecology across the country and plans to continue on to a Ph.D. in the subject — a decision partly inspired by his research at Wayne State. "Undergraduate research provides students with not only an opportunity to explore their interests in science but also the chance to gain valuable quantitative skills necessary for a graduate education,” he said. “Wayne State offers a tremendous amount of research opportunities, but taking advantage of them is what really sets you apart."